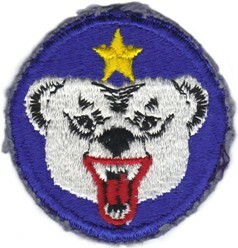 To see the back of the patches simply scroll over it. 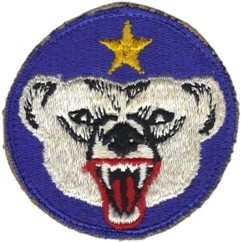 These are several variations of the old ALASKA DEFENSE COMMAND patch. 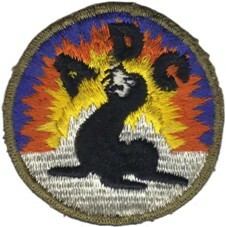 It has the black letters ADC and a seal on a yellow/orange sun, blue sky and white ice floss. 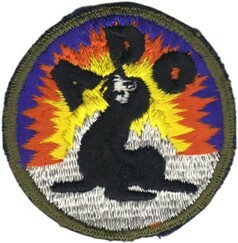 The seal design was created by Disney artist Hank Porter in January 1941. 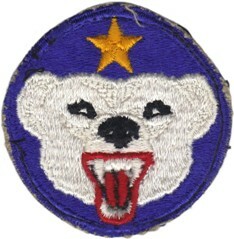 Originally, the seal was balancing the letters "ADF" on the end of his nose, which stood for Alaska Defense Force. I am not sure when the designation changed from ADF to ADC. Rare and hard to find patches. 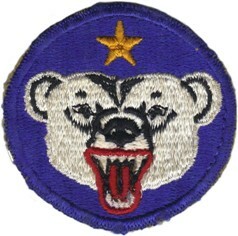 The shoulder patch worn by the Alaskan Department was approved on March 24, 1943, for the Alaska Defense Command, and was re-designated for the Alaskan Department on December 31, 1943. The insignia represents the constellation Ursa Major (the Great Bear), which, according to ancient myth, is the guardian of the North Star (Polaris). The golden/yellow star represents the North Star. In addition, the polar bear was chosen as representative of Alaska, and the bear is snarling in defiance as a warning to those who would invade his domain. 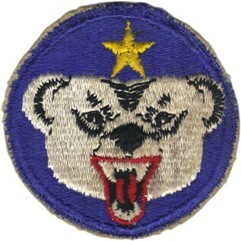 The design was originally approved for the Alaskan Defense Command in 1943 and re-designated in 1949 for the Headquarters, United States Army Alaska. 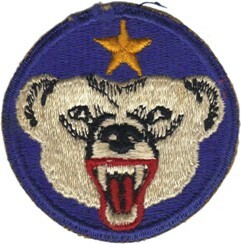 Worn from March 5, 1943 to March 1, 1949. 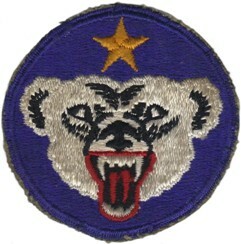 Re-designated: Alaska Headquarters - United States Army. 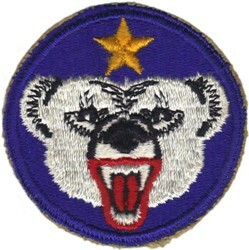 Worn from March 1, 1949 to 1994. Re-designated: Alaska - United States Army. 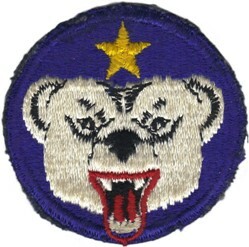 Worn from 1994 to Current. 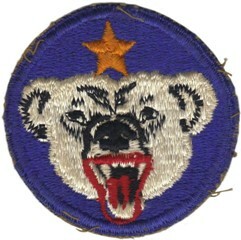 The letter written by then BG Buckner to the Disney Studios was a request to go from the "cute" seal design to a more agressive looking insignia. The result of this letter was the design of "Pinky" or "Teddy" the bear that is still in use today. 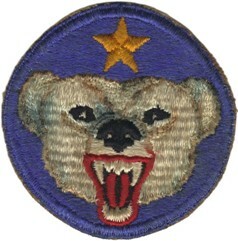 Buckner's grandson has the Disney Studio reply to the general which accompanied the sample drawing of the new "ADC" patch. In June 1942 the Japanese invaded the Aleutian Islands, making it the first American territory to be seized during the war. One year later the Japanese were forced to retreat. Feeling that the insignia of the Alaska Defense Forces needed updating to represent the change from a defensive to offensive role, the unit requested and received an updated Disney emblem. 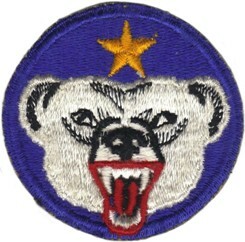 The new design featured a snarling, helmeted polar bear.